Amazing project of 49m aluminium fast displacement crossover yacht.Designed by the team Arrabito Naval Architects and talented Marco Casali, BLUE RUNNER 49 will offer accommodation for 10 guests in 5 spacious and luxurious staterooms decorated with a mix of textiles, leathers, exotic woods, glass and marble. Able to cruise at 15 knots and reach the maximum speed of 19 knots with a range of 3.800nm.The design of her stylish and elegant interior combines perfectly with wide and functional external spaces. 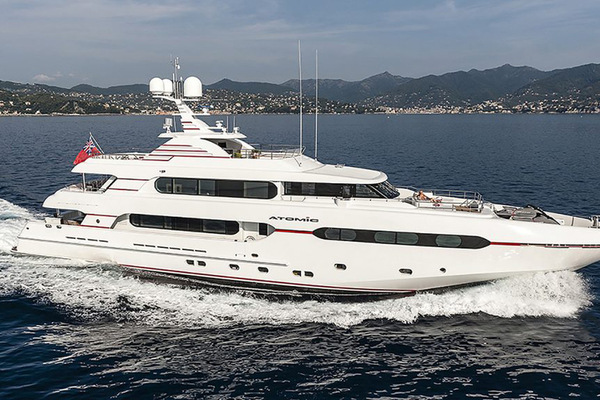 United Yacht Sales New Jersey would love to guide you through a personal showing of this 160' Rossinavi 49m 2019. This yacht for sale is located in Viareggio Italy and priced at $29,500,000. For a showing please contact us by filling out the form on this page and we will get back to you shortly!